The days of the 2018 New York International Auto Show are finally upon us. The Big Apple’s car event of the year hosted several reveals during its press days, including a look at an all-new Audi luxury vehicle on the way for the 2019 model year. Let us introduce you to the 2019 Audi A6. 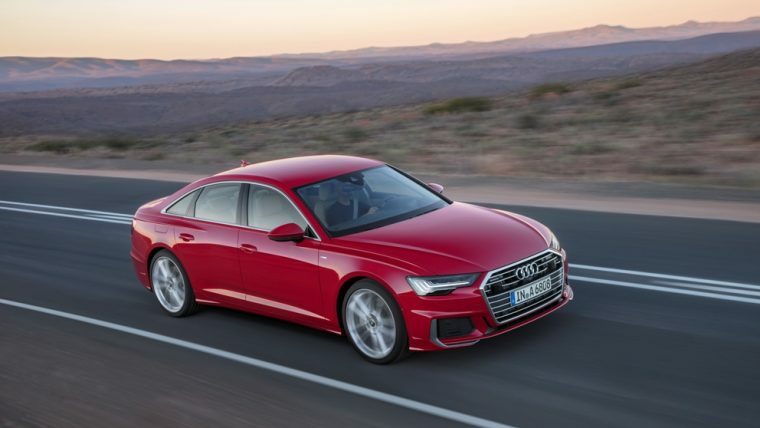 The 2019 Audi A6, like its predecessor, is still a midsize luxury sedan, and it takes more than a few design cues from the A7 and A8 models. According to MotorTrend, the front end of the vehicle and its interior are almost identical to the A7. This includes the availability of Audi’s new MMI touch response® infotainment system, which relies on two large touchscreens instead of the previous infotainment rotary selector. According to Audi, the infotainment system will be able to understand conversational voice commands. For example, if you simply tell the intelligent travel assistant that you’re cold, it will ask you what temperature you would like to select for the cabin. Audi says that the 2019 A6 has a more dynamic driving experience than the model that came before, with highly-tuned progressive steering and a new damping system for better road feedback. It doesn’t hurt that there is a new V6 engine under the hood to power the vehicle as it moves forward. The press release from Audi doesn’t give us an idea of when the 2019 Audi A6 might appear in American dealerships, and we’re still missing details about pricing as well. As more information comes out closer to the Audi A6’s delivery date, we’ll keep you in the loop.